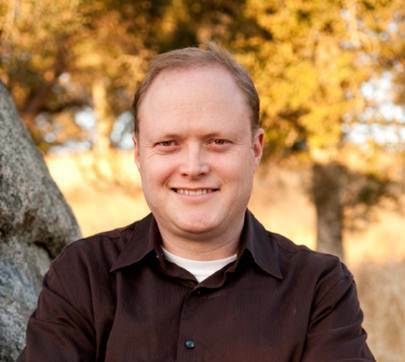 Jeff Wheeler is the Wall Street Journal bestselling author of the Kingfountain Series, as well as the Muirwood and Mirrowen novels. He took an early retirement from his career at Intel in 2014 to write full-time. He is a husband, father of five, and devout member of his church. He lives in the Rocky Mountains and is the founder of Deep Magic: The E-zine of Clean Fantasy and Science Fiction. Find out more about Deep Magic at www.deepmagic.co, and visit Jeff’s many worlds at jeff-wheeler.com. Jeff has once again started another brilliant beginning to another new series, I was totally enraptured into this novel & had to read it to the end. I was pleasantly surprised to where the location went to at the end of this book 👍😉😁 I must admit that I find that Jeff is one of the best current fantasy writers, looking forward to the next book in the series. This is a well crafted YA novel. I was immediately taken by the simplistic prose; it flowed along effortlessly. The world building was original enough to be fascinating. But here we have two quite separate stories, albeit set in the same environment, with a different young protagonist in each. In the less dramatic thread the young girl at least proactively saves herself in the climax. The girl in the other plot spends much of her time being a victim (and has to face an excellently drawn villain). The drama here becomes truly compelling and the reader can’t wait to find out what happens next. Unfortunately in the climax the girl must rely too much on others. By the resolution at the end it is clear that this whole novel has been more of a prologue to a much larger story to come. It will be well worth following these further adventures in subsequent books. What can I say other than this was a pleasant read. It didn't grip me had no highs or lows, very little excitement and was overly simplified, one wonders if this wasn't an adult read. Having said this, it wasn't terrible and the concept was OK, so for free you can't grumble but I will pass on any further works of this genres. Toodle pip! So far this book is very good, characters are believable and the concept of the rich living in the clouds and the poor on earth is like a modern-day upstairs downstairs. Hope it continues to hold my attention and curiosity. 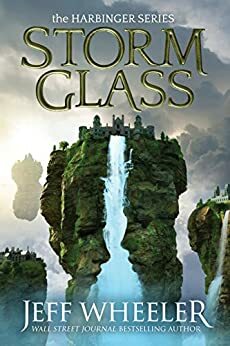 I initially started reading storm glass to vet it for my 11year old granddaughter. I always like to see if books are suitable for her age. I am 76 and enjoyed the book so much I am now into book 4 in the series and have pre-order book 5. I believe she would enjoy reading these books and feel confident in suggesting them to her, as I would to any age group. 5.0 out of 5 starsGood read. I have read Jeff Wheeler books before and have always enjoyed them. Mix of magic and mystery with future ideas thrown in for good measure. This book has the makings of all that. Looking forward to book 2. 3.0 out of 5 starsEnjoyed it. Quite a good read, but I'm not sure if I want to read further books. Trilogies so often lose their way in volume 2. An interesting world, but I feel its possibilities have been exhausted. Have read most of Jeff wheelers books now and love every one, this series is no exception. Just love the characters ,story etc. Straight on to the next one now.